Want a healthy lawn? We can help. Premium Lawn Service offers residential and commercial snow removal in the Eau Claire area. We can plow sidewalks, small driveways, and parking lots, as well as sand and salt. At Premium Lawn Service, we believe snow removal is serious business. Making sure your commercial lots are properly cleared of snow helps your customers park safely and move their vehicles safely around your lot. We are on call 24 hours a day, seven days a week to give you a hand with your at-home snow removal. 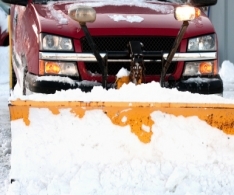 Our professionals, equipped with plows, snow shovels and snow blowers, will show up promptly and clear your driveway in a speedy, hassle-free fashion. Contact us today to schedule your snow removal service. Premium Lawn Service can provide virtually any snow removal service you need.